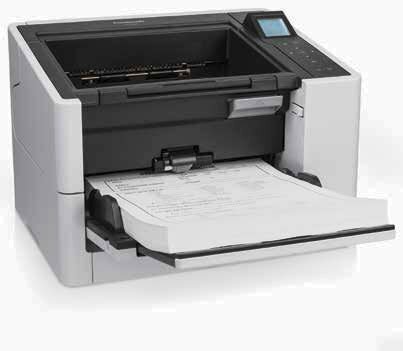 Designed with outstanding paper handling, high scan speeds up to 90ppm/180ipm and intelligent productivity enhancement features, the Fujitsu fi-6770 scanner delivers the automation and dependability needed for mission-critical production scanning applications. In addition, innovative features such as an intelligent multi-feed function drastically improves the batch scanning process by allowing the ultrasonic double-feed detection sensor to be trained to ignore intentional overlapping documents such as photos in insurance, patient label stickers in healthcare and taped on receipts for accounting expense reports. The fi-6770 includes TWAIN and ISIS® drivers and flexibility of many interface options (SCSI/USB 2.0 ) and contributes to decreased deployment costs and improved interoperability with complimentary hardware and third party software solutions. In keeping with the Fujitsu tradition, the fi-6770 is the latest to adhere to the strictest of environmental regulations including Energy Star, Reduction of Hazardous Substances and Volatile Organic Compound to better our environment. 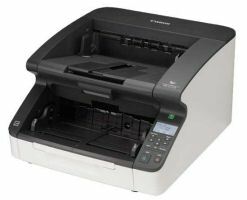 Transform your paper documents into useful electronic data in a flash with the intelligent scanning features of the fi-6770 production scanner. 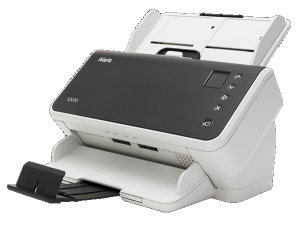 The fi-6770 scanner includes a 90-day, on-site, Limited Warranty. ADF minimum:2 in. x 3 in. 27.2" x 19.7" x 13.5"